1. How does Tarot work? Tarot readings can be quite astounding in their accuracy. But how does this happen? Swiss psychiatrist Carl Jung postulated the idea of ‘synchronicity’ – events in our lives that are often dismissed as coincidences may instead be viewed as signposts that we are on the right track. In quantum physics, synchronicities are also called ‘parallel events’ and scientists Einstein and Pauli both believed that there were parallels in our lives between these synchronicities and quantum physics. Using ideas from quantum physics, each Tarot card contains its own specific vibrational energy. When a person chooses a Tarot card from the deck, their unconscious mind is drawn to the card which resonates with their inner vibrational energy or frequency. 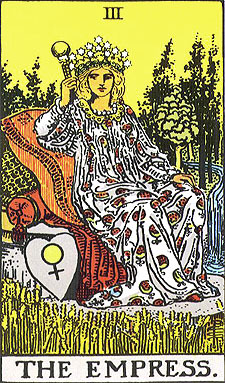 Thus a Tarot card might represent the potential of the client. By drawing a card, the client ‘collapses the wave function’ and transforms the potential energy of the entire deck into an experience of a particular energetic vibration, which shows the client the track that they are currently on. 2. 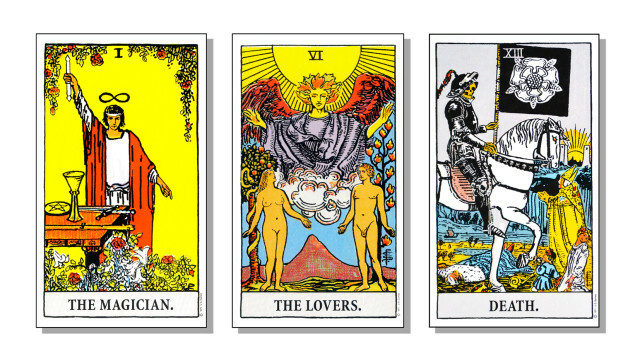 Does Tarot predict the future? A study of Jung’s concepts of archetypes and synchronicity, together with an understanding of the quantum laws, indicate that time is not a linear progression. This is because the future is in fact contained in the energy of the present. Thus a Tarot reading will show where your current vibrational energy patterns are and what possible future they may be indicating. They do not predict a future set in stone. Any changes in your current energy state will also change your Tarot reading. 3.What deck should I choose? company Rider were the publishers of these cards, which came to be known as the Rider-Waite deck. Many people feel that Pamela Colman Smith’s name was unfairly omitted and that the deck should be called ‘Rider-Waite-Smith’. The reason we teach with this deck at the Academy is that it contains the basic Tarot symbols common to many different decks. 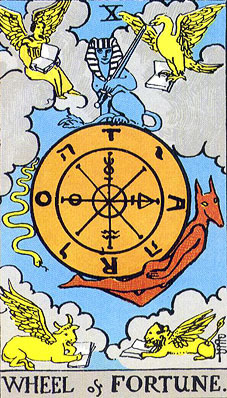 The Minor Arcana in the Rider-Waite deck are also easier to learn because they contain pictorial images rather than just numbers. Once students have mastered these basic symbols they will then be able to read and understand many other decks. The next step is to choose the particular deck that speaks to you and with which you have a connection. 4. Should I be given my first deck of cards? There is a popular notion that a beginner Tarot reader should be gifted their first deck. This is based on the idea that your path as a Tarot reader should not be dictated by your ego, but rather by destiny. However, the whole concept of destiny requires one to take action, as well as to surrender to the Universe. So if you feel you have a calling as a Tarot reader, we believe that it might be part of your destiny to take action and buy your first deck. Alternatively, you could do some research on the different decks and then ask a friend to purchase your favourite deck for you. Take some time looking at and connecting with different Tarot decks. ‘Your’ deck should speak to you, and you may find that different decks resonate with you at different times in your life. 5. Should I charge for reading Tarot, and if so how much? There is no right or wrong answer here. Indeed many people believe that you should never charge for a Tarot reading as this somehow denigrates the spiritual gift that is being offered to the client. At the Academy, we believe that it is fine to charge for readings and at an amount that you feel comfortable with. Being a spiritual person does not mean that you should have no money. Money is an energy that you can use for spiritual ends. The amount that you charge will probably change over time as you become more experienced and as you explore the concepts of money and spirituality. 6. What qualities does a good Tarot reader need? Tarot is a personal journey and in reading the cards for clients you will begin to trigger all your own personal emotional issues. When you are confronted with a reading for a client that has some emotional significance for you, it is difficult to remain detached and not let your ego interfere with the advice and guidance that you may give to the client. There is no easy answer to this and it happens to the most talented and most well-intentioned Tarot readers. The best you can do is to continue to explore your own personal growth and learn about the therapeutic concepts of ‘shadow’ and ‘projection’, which are aspects of yourself that you have denied. A certain level of detachment is crucial, as Tarot readers are intermediaries, not advisors. Techniques such as meditation or grounding yourself can be helpful to develop detachment and awareness. 7. What is the best way to learn Tarot? At The Academy of Tarot, we believe that the seasoned and experienced Tarot reader combines a knowledge of the esoteric symbols contained in the cards (mind), an understanding of their own emotions (body) and an awareness of the archetypal language of tarot cards (spirit). All of these three areas require patience, persistence and practice, and are a life long journey! 8. Do telephone Tarot readings work? Yes they do! Despite the absence of the physical presence of the client, the client’s energetic vibration is still there and according to the principles of synchronicity and quantum physics, that is what is required. are not crucial elements of a telephone reading, but they help the client to become engaged with the cards. Be wary of some of the psychic telephone lines,as in our experience they can be more interested in the client’s money than the client. 9. Should I keep my cards in a special box or a silk scarf? Some people believe that Tarot cards are a precious spiritual tool and need to be protected and treated with respect. However if you have a deep reverence for the Tarot, perhaps the outside casing is not important as they are already protected with your attitude of respect. Many Tarotists keep their cards in a special box, or wrapped in a piece of silk. You can buy velvet and silk Tarot bags in many metaphysical stores. 10. Is it illegal to be a Tarot reader? The Fraudulent Mediums Act 1951 was repealed on 26th May 2008 and replaced by the The Consumer Protection from Unfair Trading Regulations 2008 which implemented the European Union Commercial Practices Directive (UCPD). The aim of the UCPD was to harmonise consumer protection laws across the European Union to prevent business practices that are unfair to consumers. In particular, the Directive obliges businesses not to mislead consumers through acts or omissions; or subject them to aggressive commercial practices such as high pressure selling techniques. The Directive also provides additional protections for ‘vulnerable consumers’ who are often the target of unscrupulous traders. The interesting terminology here is whether a Tarot reader acting in good faith can be said to ‘mislead’ a client. The Regulations assume that Newtonian scientific laws are ‘the truth’. Therefore those ‘misleading the public’ could include a whole host of people practising various religions, different spiritualities or alternative healing. However as our notion of ‘science’ now includes an emerging understanding of quantum physics, this raises some very challenging questions with regard to the common sense ‘Western’ rational view of the world. Does a Tarot reader need to explain to a client that Tarot is not based on Newtonian scientific proof as such? Or can we assume that people understand that there is no monopoly on matters of truth? An interesting area for discussion!